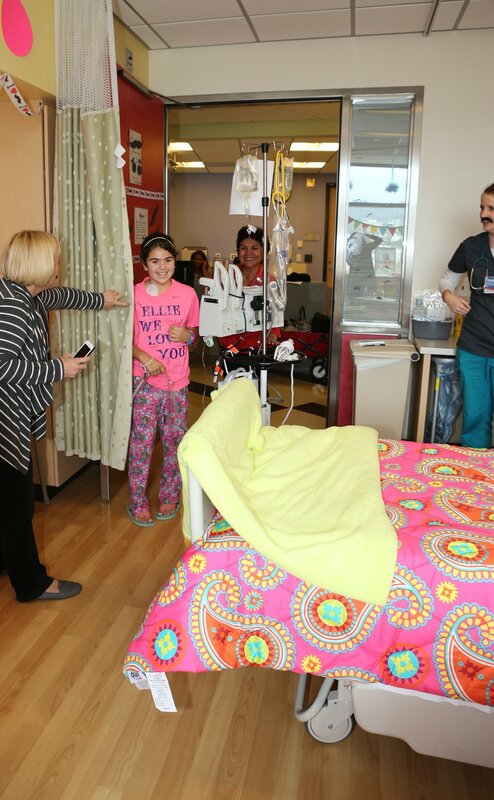 We received her room request and it was for neon colors and mustaches. This was definitely a new one for me. After sweating out how the neon would look in the room I decided to dive right in. It was her request after all and we are here to honor that. 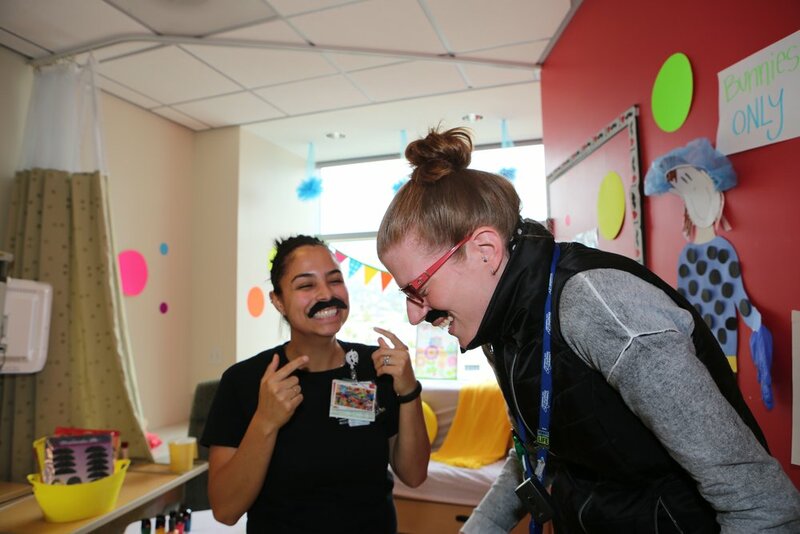 It turns out that neon colors are super happy in a hospital room and silly mustaches just make things even happier. 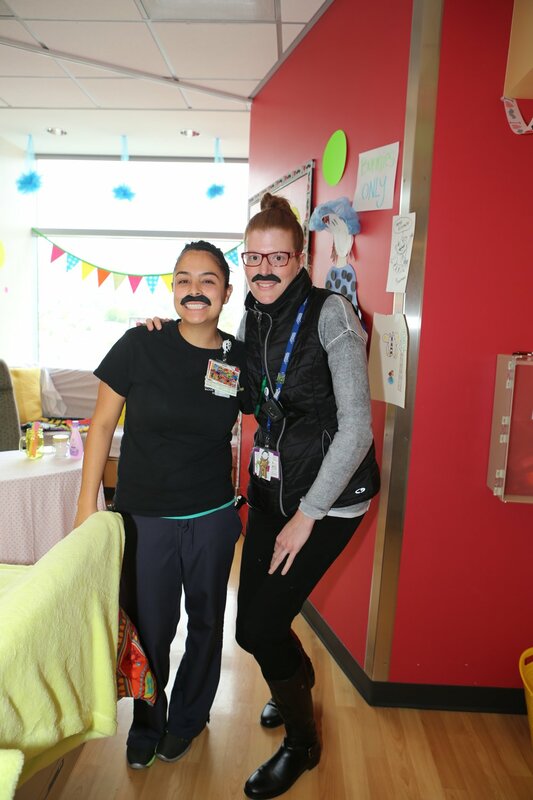 If anyone ever questions if pediatric medical care is a calling, I beg you to answer the question after seeing these amazing nurses and child life specialists and their mustaches. They truly go the distance for their patients. 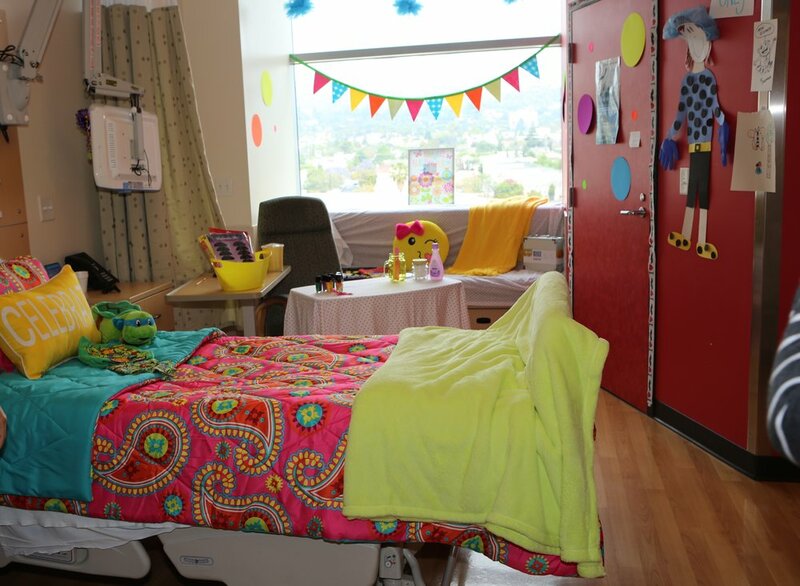 Miss Ellie, you were a treat to be with and an honor to decorate for. Your lovely mother and grandmother at your side was an added bonus. We wish you a life of silly mustaches and neon happiness. You brightened up our day that is for sure. Keep fighting, our silly, happy girl.